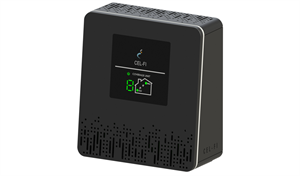 Cel-Fi DUO+ improves 3G/4G/ LTE cellular service by eliminating dead zones and dropped calls. With up to 100dB of gain, it will improve cellular service and reduce your cell phone’s power requirements to extend its battery life. 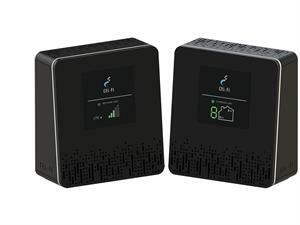 The Cel-Fi DUO+ covers up to 15,000 sq. ft. (approximately 1,400 m2) of indoor space per system. It’s fully self-contained and self-configuring, requiring no external antennas or wiring. Simply plug it in to boost indoor cellular coverage. Plug and play, simple installation – no external cables, antennas, wires, or drills needed. Plug and play, simple installation – no external cables, antennas, wires, or drills needed. Clean and compact industrial design. Intuitive LED User Interface (UI). 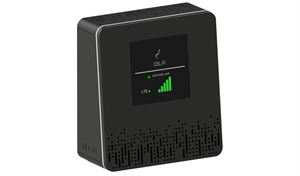 Unlocked: Cell phones do not need to be registered with Cel-Fi to benefit. Peaceful coexistence with adjacent Cel-Fi systems. End-to-end cellular communication encryption without additional risk of vulnerability. Plug and play, simple installation – no external cables, antennas, wires, or drills needed.